Aaron Hernandez, former NFL tight end and convicted killer, was found dead in his cell this morning at the Massachusetts Department of Corrections. This comes days after he was found not guilty for a double homicide. 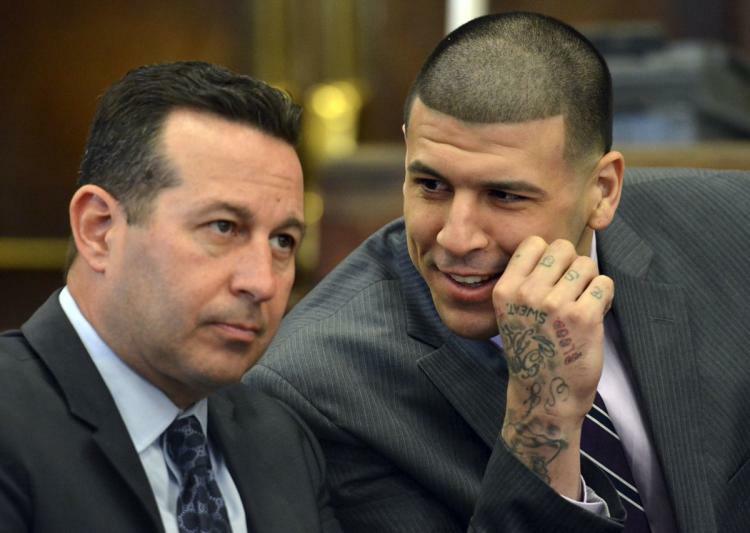 His new lawyer, Jose Baez, was ready to appeal the life sentence for the murder of Odin Lloyd. Baez, famous for getting Casey Anthony off a murder charge, does not believe Hernandez killed himself with the appeal coming and possibly being a free man. TMZ claims Baes believes it could have been an inside job from an inmate or prison worker. There are others who believe that it wasn’t suicide. Hernandez agent, Brian Murphy, said on Twitter there is ‘absolutely no change he took his own life’. No suicide note was found in his cell. the investigation is ongoing. Baez will also do his own investigation according to NBC Sports.